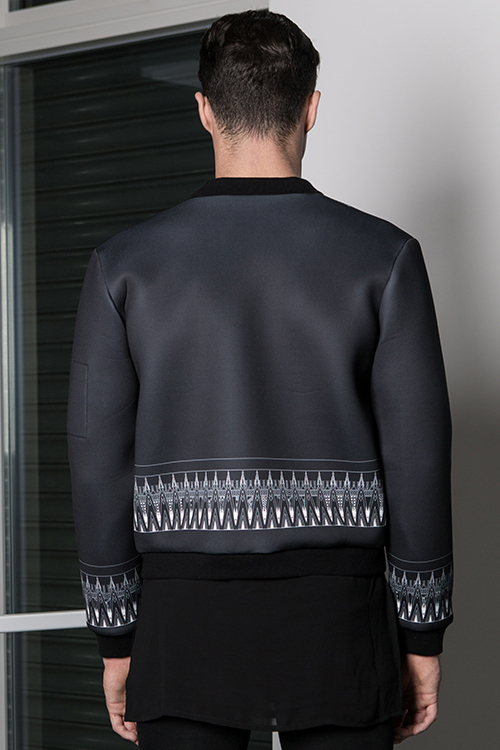 Buffed and structured neoprene bomber jacket with silver zipper detailing and decorated with a print of a Naqshat heritage pattern in white. 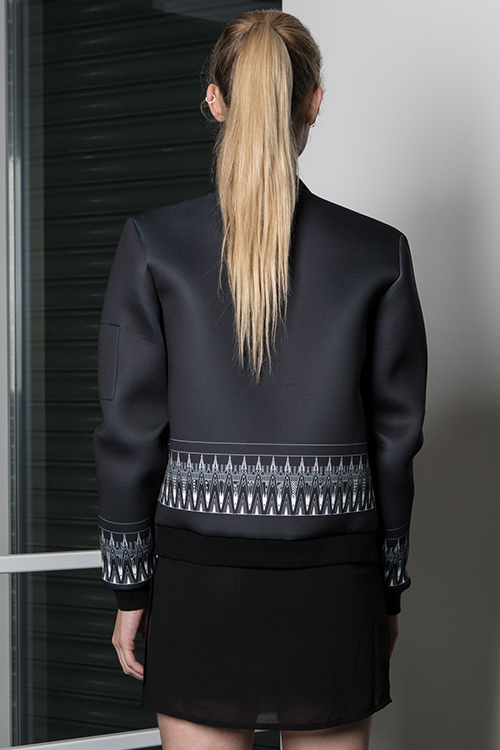 Unisex Style. COPYRIght © 2017 HINDAMME.COM. ALL RIGHTS RESERVED.